I have lived in Downtown LA for over 6 years. During that time, I have documented the ongoing changes and gentrification through thousands of photos. As one of the foremost experts on Downtown Los Angeles architecture, many often ask me for recommendations on the newest & hippest places to go. While I keep a mental list of my usual go-tos, I’ve never found the time to make a definitive list. Luckily, I don’t need to. 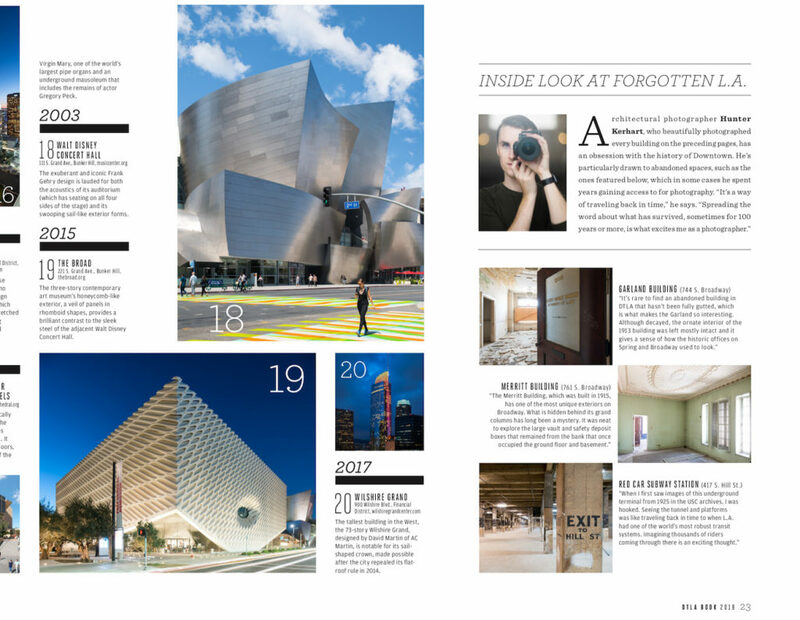 If you are looking for the absolute best guide to Downtown Los Angeles, look no further than the 2018 DTLA Book. Last year, District 8 Media published the original DTLA Book: An Insider’s Guide to Downtown L.A. 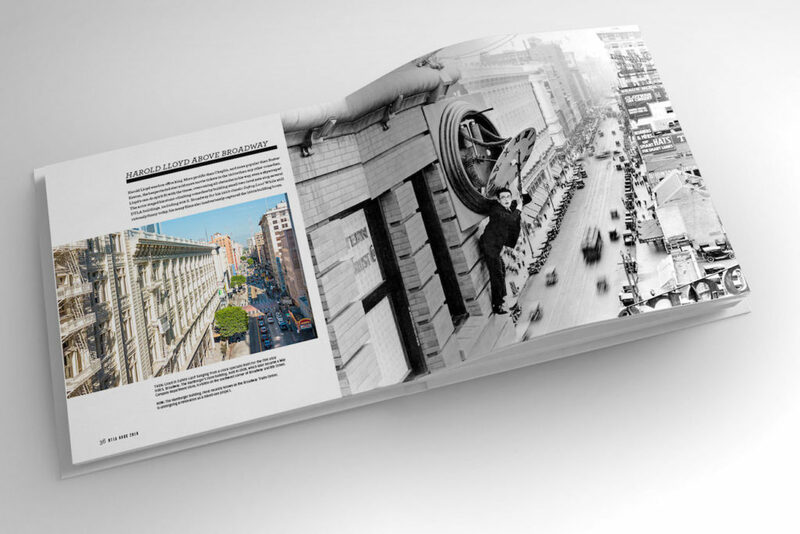 The coffee table book was the first of its kind, dedicated entirely to the renaissance taking hold of our city’s center. Although DTLA’s resurgence has been over a decade in the making, 2017 was unquestionably one of the neighborhood’s biggest years yet. It was for this reason District 8 co-founders, Kayoko Suzuki-Lange and Shana Wong Solares decided to follow up their first success with a second edition. When District 8 reached out to me to collaborate on this year’s DTLA Book, it was a no-brainer. I selected some of my favorite architectural photographs from my archive and captured some new ones for two separate spreads in the book. 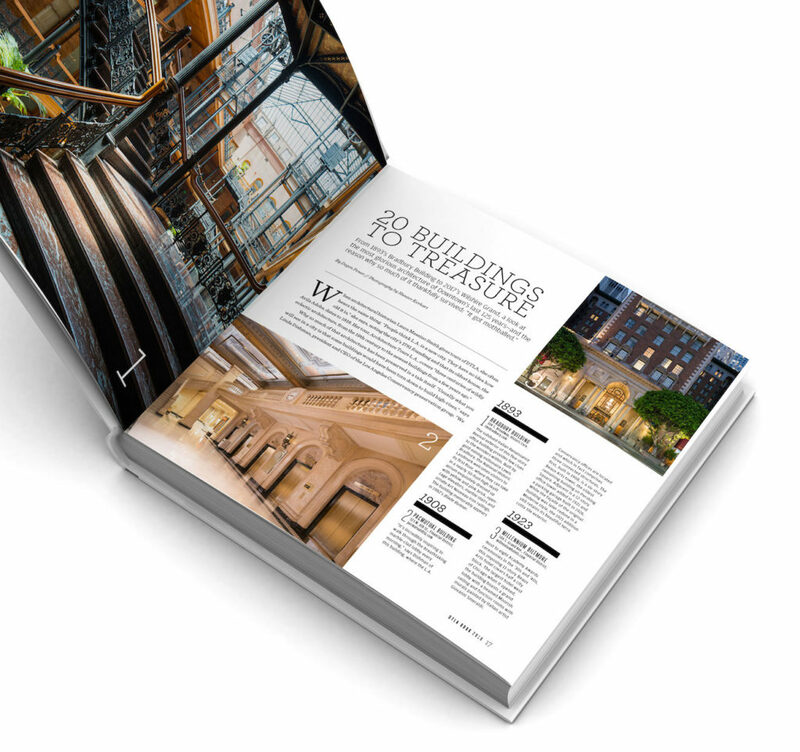 The 2018 DTLA Book is full of rich photos, cool illustrations, and interactive AR videos that can be viewed with the DTLA Book AR App. It is more than just a list of things to see and places to shop and eat. 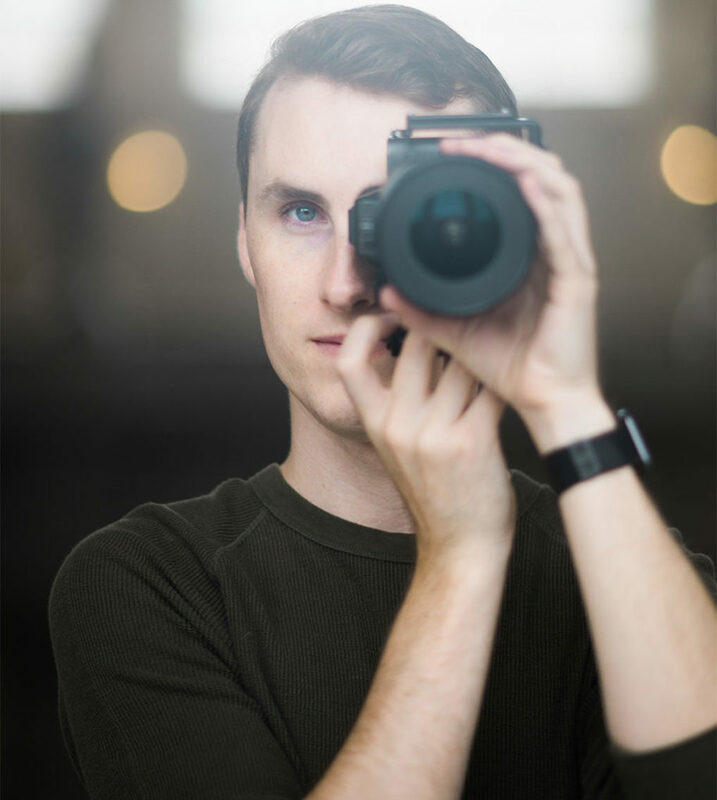 There are in-depth articles and interviews featuring Downtown’s movers and shakers, taste makers, and cultural experts. One thing I really like is that the book doesn’t just focus on the newest buildings and businesses. It pays homage to the history that has led DTLA to its current status as a rising star. This feature looks at the 20 most significant buildings in DTLA. Each building is accompanied with architectural photos taken by me. It features all of the historic fan favorites like Eastern Columbia, City Hall and the Bradbury Building. It also includes some of Downtown’s more recent additions such as Walt Disney Concert Hall, The Broad and Wilshire Grand. At the end of the spread, three of my favorite once-abandoned buildings are listed including the Merritt and Garland buildings. In this feature, historical and anthropological linguist, John Bengtson, delves into Hollywood’s Golden Era of film. Downtown LA served as the backdrop for many silent films. Movie stars including Charlie Chaplin, Harold Lloyd and Clara Bow walked the city streets and hung out (literally) of buildings which still stand today. 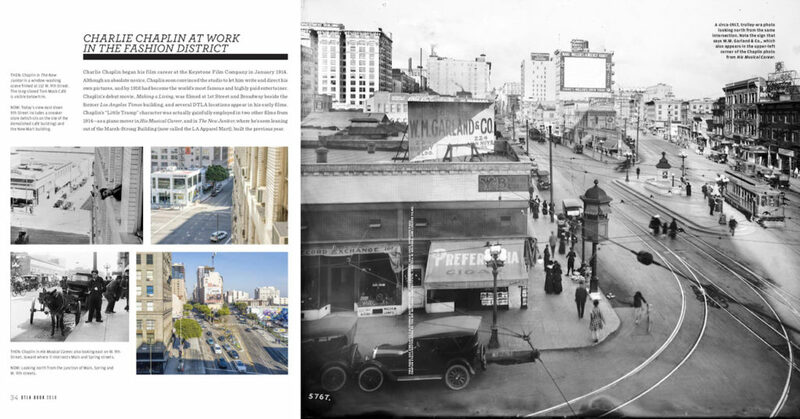 The spread features historic pictures taken from several notable silent movies which were filmed in DTLA. I took present-day photos to show those same scenes and what they look like now. DTLA Book 2018: Your Guide / Year Book of Downtown L.A. is now available for purchase on Amazon for $38. For a complete list of retailers and hotel partners, check out District 8 Media’s site.